Zein has more than 8 years of experience working in the accounting, auditing, tax and consulting fields. He also has more than 4 years of experience in valuation services in the Middle East. 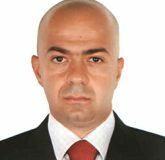 He is the founder of Al-Mukhtar for Accounting and Auditing, a Beirut based firm specialized in financial, tax and legal consultancy. He is also the co-founder and the managing partner of the Institute for Financial Analysts (IFA) a firm specializing in preparatory courses and seminars for professional designations. Currently, IFA is offering preparatory courses for the Chartered Financial Analyst (CFA(r)), Financial Risk Manager (FRM(r)), and Certified Valuation Advisor (CVA(r)) in Beirut, Kuwait, UAE, Jordan, Saudi Arabia, Bahrain and Qatar. Zein is also a lecturer at the American University of Beirut (AUB) and at the Lebanese American University (LAU). Most recently, Zein has been handling valuation services and provides finance related consulting services as well as participating on selective deal structuring and placement at MNA Partners. Zein holds a business administration degree and an MBA from the Lebanese American University and he is a CFA (chartered financial analyst) charter holder. He also holds the CVA (Certified Valuation Analyst) designation.